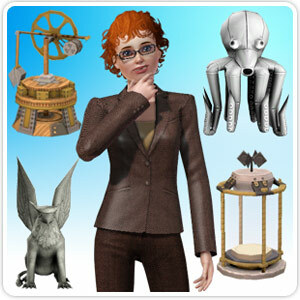 Prepare your Sims for the perils of the professional world with The Ultimate Career Bundle download. Diligent inventors can discover unique new inventions. Visionary sculptors may develop new models of creation. Investigators will benefit from exclusive cases testing their resolve and mental fortitude. Adorn all ages with a Practical Curl haircut or style adult females with a new Sophisticate’s Bun hairstyle. Experience exclusive in game content that helps make your Sim’s Ambitions a reality!